Mideast nations are proving to be growing markets for civil , public-service, and paramilitary helicopter applications. The helicopter has Long served primarily as a military aircraft in the Middle East. It is now branching out into more civil and paramilitary uses, ranging from executive transport to search and rescue. The growing commercial traffic in the Gulf States, combined with business opportunities resulting from the second Gulf War and the pure economic strength of the region, are spurring the need for more civil rotorcraft. In its annual 20-year forecast of worldwide airline growth, Boeing said that airline traffic in the Middle East will outgrow the global average by as much as 9 percent, with growth in traffic between the Middle East and Europe, the region’s largest market, expected to be 5.9 percent per annum. This growth translates into more intra-regional travel, which in turn leads to a need for rapid transport in the short-haul market. While this in itself can grow the executive helicopter segment, that segment is further fed by the lack of a well-established regional airline system among the Gulf states. The growth in this segment will be particularly strong for head-of-state and “VVIP” transportation, according to Ron Jones, business group director for AgustaWestland. In a way, the tremendous increase in technology development for executive fixed-wing aircraft is fueling that. Operators of these executive airplanes, which now include Airbus and Boeing wide-bodies, are starting to expect the same level of technology in their helicopters, he said. 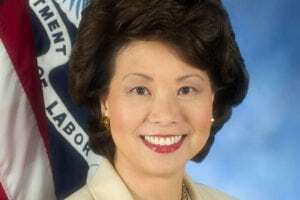 This is one reason, he said, that the U.S. presidential replacement helicopter program is being watched so carefully. Thomas Weir of Sikorsky agreed. Sikorsky is promoting the S-92 strongly in the region. The company expects to make its first delivery this month. There are “very solid prospects” in the Middle East, he said, including a “very high interest” for VIP aircraft, as well as from the oil and natural gas industries. 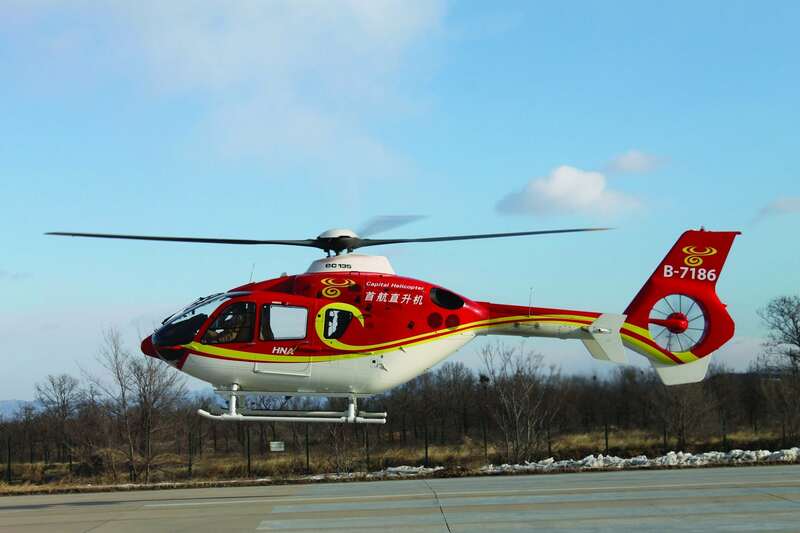 The company has nine firm orders for the S-92, he said. Another rapidly growing market segment is for helicopters to meet national security needs, particularly border patrol aircraft. “Saudi Arabia is a classic customer for homeland defense requirements,” such as hot and high capabilities and night-vision goggles integration, Jones said. Weir said both the S-70 and S-76 are now big sellers in the Middle East, with 12 S-70s sold there in 2003 and a projected market for 20 per year. Sikorsky expects to sell 20 S-76s worldwide, including five in the Middle East. A long-term niche market is for tourism, although that is being held back by the fact that the skies are not really open to civil helicopters in the Middle East, according to Xavier Hay, vice president, Middle East/Africa for Eurocopter. Hay said Eurocopter is looking at the tourism market for its EC130 and EC135, but that it has yet to open up. However, the light observation helicopters are poised for newly developing markets in homeland security and police work. He noted that the police in the United Arab Emirates already have the Bk.105 while Kuwaiti police operate the EC135. There is also interest in the EC635, the military version of the EC135. “That aircraft would be very good for this region, with the high temperatures and harsh environment,” he said. 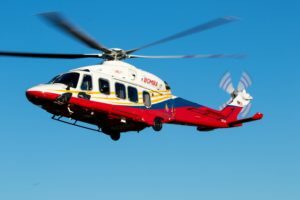 Eurocopter is strongly promoting its AS365, EC155 and new generation Super Puma EC225 for the developing VIP market. New orders already have been placed for the EC225, he said. This is an upgraded version of the Puma, with new engines and a five-bladed rotor system. Alan Parsons, vice president, marketing for Hawker Pacific, said that the oil and gas industry is going to be one of the strongest growth markets for helicopters in the Middle East. Hawker Pacific represents Bell Helicopters throughout the UAE, Oman, Qatar and Bahrain. Parsons noted that Qatar sits on one of the largest natural gas deposits in the world, and that there is a lot of expansion and consolidation of oil fields throughout the region. “In the past, companies shared helicopters,” he said. “Now they are moving into their own.” These operators include major oil companies such as Shell, Conoco, Elf, Fina, Total, “plus all the oil companies of the major states in the region.” He said that this growth “will be steady,” particularly in medium-size aircraft, such as the Bell 412 or upcoming AB139. 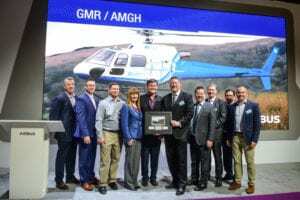 Dane Pranke, director, Bell Helicopters, Middle East/Africa, said that Bell sold 143 helicopters worldwide in 2003, and that out of the $1.3 billion in revenue, the Middle East accounted for $200 million. To support training for Bell helicopters, Emirates Airlines and CAE are installing a Bell 412 full-flight simulator at their facility in Dubai, to be ready for operation by the end of 2005. The simulator will train both 212 and 412 pilots. It will have a CAE Sim XXI platform and be fitted with a CAE Tropos visual system. Also supporting training of helicopter pilots in the Middle East is the newly created Horizon International Flight Training Academy in Abu Dhabi. General Manager Jon Heanenï¿½ said initially the academy would train students from the UAE, both military and civilian. The pilots will train to civilian JAA standards, with the training following the JAA curriculum and syllabus. “The students will get 135 flying hours and in excess of 550 hours ground school,” Heanen said. 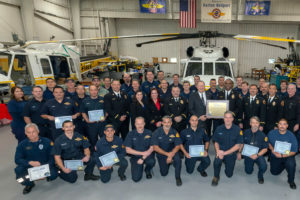 “Everything will be computer-based, so that students can access the program worldwide, even after graduation.” Students are trained in Bell 206B-3s and Eurocopter AS350B3s. While the civil market is starting to develop and grow, the military is still the major market for helicopters in the Middle East. The recent order for the Super Lynx by the Sultanate of Oman resulted in “a number of inquiries” during the show, Jones said. Once the aircraft gets into service, “it could turn those prospects into orders.” The Super Lynx to be flown by the Omani army uses the LHTEC CTS800-4N engine from the same engine family used to power the RAH-67 Comanche. “This gives the Lynx lots of power, which has made all the difference. Oman has 10,000-ft. altitudes,” he said. Potential customers “want to see it in action.” Oman has ordered 16 Super Lynx and reportedly is close to signing for the recently certified AB139. AgustaWestland sold 140 helicopters during 2003 and expects to equal that number in 2004, Jones said. Jones added that the U.K. government conducted a huge military exercise in Oman last year to test the capabilities of all of its equipment in desert warfare. “It confirmed that the older Lynxes should be brought up to Super Lynx standards.” Agusta Westland has now gotten tenders from the government to reverse engineer more than 100 aircraft to become Battlefield Light Utility Helicopters, he said. Current military operations in Iraq and Afghanistan are causing Middle Eastern countries to consider their requirements for new military helicopters, but no big orders have been placed recently. Military equipment orders, whether helicopters or tanks, are long, drawn out processes, according to Roger Krone, senior vice president, international business development for the Middle East, Africa and the Americas for Boeing. One thing that has changed in the region is that the Iraqi war is allowing customers to see U.S. Army helicopters in action, he said. “They can see the impact of the hostile environment, as well as the high reliability” of the aircraft. 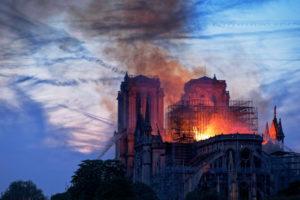 One thing that is now being looked at carefully is interoperability “since the U.S. Army is in action in the area,” he said. Most of the action for military sales is in upgrades, Krone said. He noted that the Egyptian army is converting its CH-47Cs to -47D models, with further upgrades to the CH-47F “in a few years.” Boeing is also in discussions with other CH-47C operators in the region to upgrade their Chinooks to -D models, he said. Boeing is also strongly promoting the Apache throughout the region. It exhibited both the AH-64A and AH-64D Longbow Apache at the air show, with the AH-64D performing acrobatics during the flying display. It also provided a flight in the Longbow Apache to Rotor & Wing for a close-up view of the aircraft’s capability. The all-too-short flight included nap-of-the-earth flying, desert-style and a demonstration of the aircraft’s target acquisition capabilities. The aircraft proved to be remarkably stable and responsive, particularly considering all the hardware attached to it. The target acquisition demonstration was done in auto-hover mode, with the aircraft hanging dead still in the sky while its ability to spot, identify, acquire and ultimately destroy a target was explained in detail. The roughly 45-min. display more than explained why Iraqi tank commanders were surrendering their forces for no reason other than the fact that Apaches were in the area. Krone said that Boeing is also promoting the upgrading of AH-64As to the Longbow version. It is in discussion with the UAE for the upgrading of that country’s 30 AH-64As, and the Saudis “have shown some interest in upgrading their Apaches to D models,” he said. All of the manufacturers are promoting their combat aircraft throughout the region. Eurocopter had its EC-635 on static display, and Hay said that they are seriously looking at opening training academies in the Middle East to support their military helicopters. “There are more training needs emerging in countries such as Qatar and Jordan, so we are listening to them to see how we can support them,” he said. Eurocopter is particularly promoting the NH90 and AS532/EC725 Cougar, as well as the Tiger as an attack helicopter for the region. There are already “a few countries” interested in the NH90 both for the tactical and Navy role, he said. The Royal Jordanian Air Force began operating new EC635 light twins this past summer, and the Ministry of Interior of Kuwait has ordered the AS 365N3 Dauphin.